It’s raining in Huntington Beach today, but you’ve decided to start the moving process to your new residence anyway. Suddenly the engine light goes on in the moving van you are driving. You carefully maneuver the moving van to the side of the road. Your engine has seized. It’s time to call the professionals at Mighty Towing Huntington Beach. We are the experts in all kinds of emergencies including heavy duty towing for moving vans like yours. In fact, Mighty Towing is capable of lifting any vehicle over five tons, such as RVs, bulldozers, semi tractor trailers, and large trucks. Carrying a moving van is not an easy undertaking. It requires the patience and expertise of a team that can make it happen. Mighty Towing Huntington Beach is rewarded by having the most qualified technicians in the business. In most of the industries today customer satisfaction is extremely important. A positive customer experience is essential in building loyalty with clients. We want to provide you that experience so that you keep coming back. You may ask yourself, “What makes a company outstanding?” See for yourself. Prices! Probably one of the most important factors in a transaction is the pricing. At Mighty Towing we provide the most reasonable prices. Great Customer Service! We are here to make your day; not only by taking care of your towing needs, but by doing it with a positive attitude. Reliability! We work hard for you 24 hours a day and 7 days a week. We never lie down on the job. 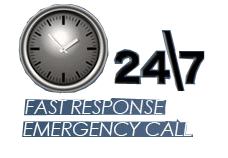 In addition to round the clock service we are able to respond to your roadside emergency assistance needs within 30 minutes of your call. Reputation! We have great character within the Huntington Beach community. We have been serving the people of Huntington Beach for many years.